Written more than 25 centuries ago, the Diamond Sutra is the first text to record the Buddha's own teachings, and it remains one of the most popular. 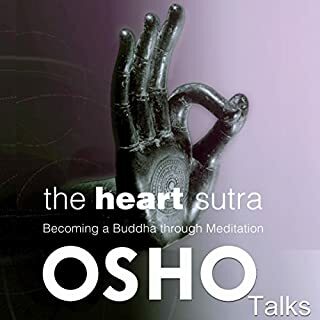 Osho comments in a series of talks on these sutras and brings Buddha's teachings into the 21st century. One day, after the Buddha finishes his daily walk to collect alms, a senior monk steps forth to ask how he can best help humanity. Buddha responds, and thus begins a dialogue regarding the nature of perception. The Dhammapada is a collection of sayings of the Gautama the Buddha in verse form and one of the most widely read and best known Buddhist scriptures. 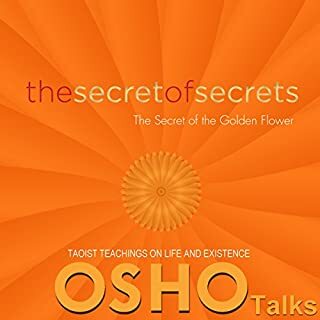 This is volume two of a 12-volume series of Osho Talks, bringing Buddha's Dhammapada into the 21st century and opening them for a new understanding for contemporary people. Just just as good as part 1. 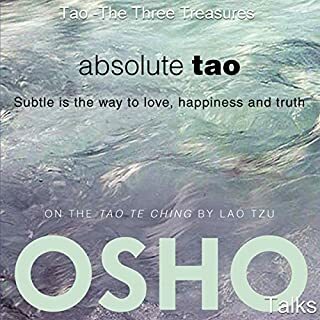 Osho, one of the best-known and most provocative spiritual teachers of our time, presents The Sutra of 42 Chapters - a scripture compiled in the first century CE by a Chinese emperor. Two thousand five hundred years have passed since Buddha delivered the sutras on which this series is based. 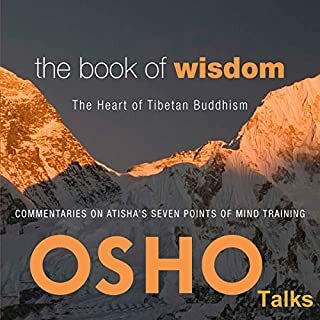 Using modern idiom, Osho extracts the kernel of Buddha's profound insight and understanding and presents his everlasting message to the contemporary listener in a manner that is lucid, straightforward, and humorous. 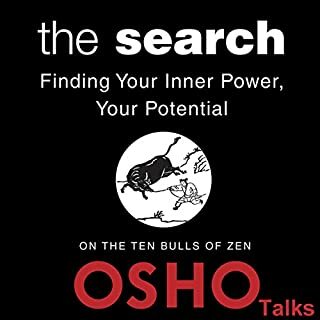 Osho weaves his own unique insights into this profound ancient wisdom and expands its meaning for our time, discussing the need for doubt and argument in the spiritual search, the nature of desire, and the discipline of nonattachment. As we travel with the Buddha on a path of radical wisdom, we'll laugh or shake our heads at the folly, the ineptitude, or the goodness of the characters in the stories - and gain knowledge and understanding at the same time. Osho engages us at every level to help us experience the Buddha's teachings and take in their timeless truths. A powerful, inspirational gem of a series of talks recorded in an outdoor auditorium with several thousand people in his audience. 1. "The Most Excellent Way"
2. "No Prejudice in the Heart"
5. "The Truth Beyond Magic"
6. "The Twenty Difficult Things"
7. "In Accord with the Way"
8. "A Light unto Yourself"
10. "The Discipline Beyond Discipline"
12. "Always on the Funeral Pyre"
13. "There Is Nothing Like Lust"
15. "Just Working for Peanuts"
16. "Away with the Passions!" 19. "The Discipline of Transcendence"
20. "The Ten Grounds of the Way"
21. "Provisions for the Journey"
This collection of talks about Buddhism are remarkable because they are not from the traditional Buddhist literature. 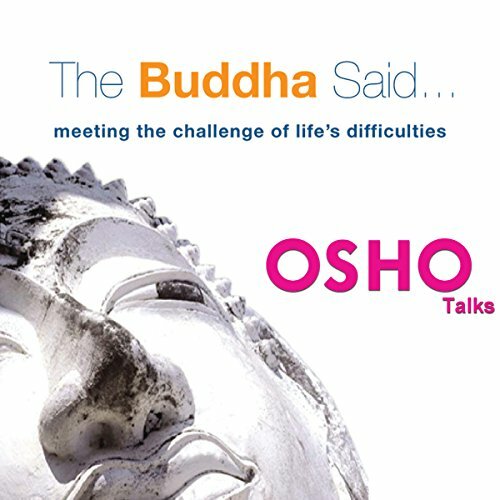 In particular, one talk is outstanding because Osho provided a beautiful and original insight about the Eightfold Path. Endearing and enlightening a delight to hear. The quality is better than The Ten Bulls of Zen, fewer interruptions from train/plane noise. Loved it. A great introduction to the Buddha's mindful lessons on loving kindness. The depth and beauty of the great nothingness mirrored by Osho. Listen actively. Absorption without action is the effort. The book is really speaking truth and guide us on path of spiritual life for everyone. Osho has the ability to distill classic teachings down to their essence through metaphor, jokes and always no b.s. straight talk. He does this here with Sutras of the Buddha. Even a Buddhist friend of mine found it very clarifying. 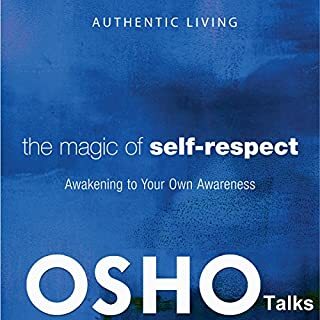 I listened at 1.25 speed since Osho speaks so slowly. But 50 hrs went by smoothly. It was so insightful and cleared so many gaps in my understanding. In short, it's a masterpiece. great teachings recited with such love by Osho. Osho's insights and wisdom are unparalleled. He truly is a Budha of our times.